It's fair to say from our findings that the Nikon D3x is pretty much a re-badged D3 with twice the pixel count but a slower continuous shooting speed; therefore the D3 remains alongside it as a valued component of the range in its own right. 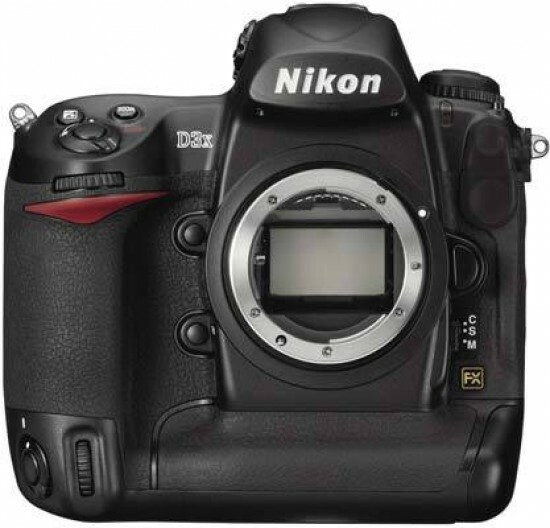 It's worth noting too that no other Nikon DSLR currently comes close to matching the D3x's pixel count – indeed the D3, D700 and D300 all offer a 'mere' 12 megapixels, modest by comparison. There are also a couple of things that, despite the level of excellence on offer, the D3x obviously omits however: namely any form of built-in image stabilisation and, unlike Canon for a change, there's no dust prevention/sensor cleaning offered on powering the camera down either. Playing with the camera over a test period of a couple of weeks (and having VR optics supplied instead of having to buy them) it's easy to overlook this and move on, but over time I'm not so sure. That said, in the area of scrutiny that accounts for the most – namely the images themselves – the level of 'improvement' from one DSLR to the other is not overly dramatic. The D3 is still clearly a very good camera – and whether that slight edge of extra detail justifies another couple of grand spend has to come down to personal choice and experience. If, clearly, your advertising or fashion work means that you regularly don't get out of bed for less than £10k, then a body-only D3x is still going to seem like a veritable bargain even at full £6,000 asking price. As it is when compared to a medium format camera/ digital back set up which you would have formerly needed to achieve such a high pixel count. Moreover, for such a high end camera the D3x is surprisingly intuitive to use, controls feels just right, are clearly marked, reasonably sized and the camera responds instantly to each button press or rotation of command dial. As should be, it provides the photographer with their own virtual 'wingman', leaving the user to get on with the business of taking photos.